• Flight To Safety Again? Bill Gross of Pimco offers a fascinating read in his Investment Outlook February 2010. The chart below is courtesy of www.pimco.com. Special attention is given to the countries within “The Ring of Fire.” Those countries have potential for public debt to exceed 90% of GDP. Our new section shows a graphic overview of the major markets (click on chart for larger image). With the exception of the US Dollar which gained about 1.5% in each of the past two weeks, essentially everything else had a rough couple of weeks. Among the major indices, China (-4.45%) and Silver (-4.65%) ended up at the bottom of the table this week. What just happened? Isn’t this supposed to be a V or U shaped recovery? The fact that all major asset classes and the major market indices showed a near perfect negative correlation to the US Dollar brings back memories of the credit crisis. To make money in recent weeks, you had to buy Dollars and sell everything else. Along with a few volatility spikes in the past two weeks, risk aversion crept back into institutional portfolios. For many traders, this meant liquidating their risk and emerging market positions and returning to the US Dollar again, the illusive safe haven currency. In the short-term, this means additional pressure on currencies and commodities. But the main rationale for the major carry trade of 2009, i.e. borrowing US$ in favor of higher yielding currencies such as the Australian $, is still prevalent. There is still about a 3% interest rate differential between the two currencies. All other things being equal and in the absence of major detrimental factors for Australia’s economy, this carry trade will resume once more when the dust settles. Although a slightly more risky position in the short run, long term purchases of foreign currencies with favorable deposit rates over the near zero US$ rates still sound like a good hedge against the dreaded deterioration of the US administration’s fiscal position. We shall examine a convenient method to achieve this type of hedge in an upcoming newsletter. Last week, we looked at the World Bank forecast for Global Economic Prospects in 2010. The report suggested global average growth rates of 2.7% (2010) and 3.2% (2011). This week’s announcement that US real GDP rose at an annual rate of 5.7% in the fourth quarter of 2009 sounds encouraging. But concerns prevail about a renewed deleveraging process as seen in falling commodity and stock market prices recently. Where is the problem then? For starters, the better than expected US GDP number might just be another data point in what some economists have termed a “statistical recovery”. There are a number of reasons to be skeptical. The majority of the growth came from the rebuilding of inventories. Consumer spending effectively decreased in the 4th quarter as stimulus programs as the "Cash for Clunkers" had ended. But the overall impact of government stimulus spending cannot be denied. In fact, it may have been a major contributor to GDP growth in the last two quarters. Yet, there is limited long-term return from temporary government spending. Repaving roads and/or building bridges to nowhere are simply spending not investment in long-term productive capacity. As the stimulus dries up, those positive effects on GDP will simply disappear. Equally concerning are the effects of a still declining labor market. As we pointed out before, the US economy needs to create at least 100,000 jobs each month just to keep up with the demographics of a still growing population. Until there is a return to an increase of payrolls in the low six figures, do not expect any positive effect on GDP from the consumer. The spending part of the equation does not appear to have any realistic footing. Mr. Obama’s proposed three year spending freeze does not cover big ticket items such as Defense, Medicare, Medicaid and Social Security nor can it put a cap on the cost of servicing its own debt. How about the income side of the equation? The options for increasing government revenues are equally limited. Any kind of meaningful tax increase would be political suicide in this fragile economic environment. In terms of a fall-out from too much debt, the recent Greek debt crisis can serve as a preview of what might happen in a larger context, albeit being a remote possibility. If the Greek situation worsens, Europe and the ECB will have to intervene and serve as a lender of last resort. This may put a halt on the rise of Greek government bond yields, perhaps even lower rates back in line with the rest of Europe. However, the Euro will weaken further as risk capital gets out of Greek debt the longer the crisis prevails. Furthermore, a similar fate may fall upon Italy, Portugal, Spain and Ireland. If the ECB were to abstain from intervening, an increase in interest rates for all countries of the EU would be a certainty. In terms of applying similar scenarios to the US, there is of course no lender of last resort for the US and its central bank, nor is there any for the US Dollar, a currency backed by nothing other than faith and confidence. Japan and China, the largest creditors to the US, don’t appear to be willing or able to increase their purchases of US Treasuries. In fact, China has decreased the net holdings of US Treasuries since last summer. Who else would “pick up the tab” in case of further US financing needs? If the US economy were to recover rapidly, as hinted by the latest GDP data, the US government might see an increase in revenues. But as a result of higher growth, interest rates would have to go up and consequently the cost of servicing the huge debt mountain would go up as well, possibly canceling out any increase in revenue from higher growth rates. By contrast, slipping back into a recession poses massive concerns as well. For if additional stimulus money was allocated to jump start the economy again, the US government’s credibility in the international arena would face a major blow and an imminent rise in interest rates combined with a crash in the bond market and the US Dollar would ensue. Although completely understandable and increasingly popular from the taxpayer’s perspective, punitive taxes, salary caps and bonus claw-backs may open yet another can of worms. The US administration might find itself in a dark alley, being unable to finance some of its debt from the foreign banks and financial institutions who would come to realize that doing business in the US is simply too risky and/or prohibitively expensive. Perhaps the least popular scenario from the administration’s point of view, doing nothing and letting markets play out a natural de-leveraging process, would have been, and probably still is, the best and most cost-effective solution in the long-term. Yes, the US and perhaps the global economy would fall back into a recession and it will cause some institutions to fail. Jeff Rubin, the former Chief Economist of CIBC World Markets and the author of “Why Your World Is About To Get A Whole Lot Smaller” has an interesting angle on the longer term trend for oil, the economy and globalization in general. Although this somewhat lengthy interview from Nov-09 does not reflect the short-term market climate, one should consider Mr. Rubin’s thought process in terms of assessing a longer term personal investment strategy. More importantly, as a business owner, one might consider some of his prognoses critically important for potentially seismic shifts in mid-to-long term business strategies. In his words: “distance will cost money” – be prepared. Please consider Why the Internet Is So Distracting by Jeff Stibel. Neither rocket science nor particularly ground breaking new info, but this HBR Blog post is a good reminder for us super-busy modern professionals to take a step back once in a while. What are the true productivity gains achieved from new technologies? Take the Internet for instance, an immense resource and the raison d'être for more and more businesses in an increasingly inter-connected world. Yet, are we really smarter and more efficient in achieving our objectives and in doing our jobs? There are immense advantages to being online 24/7 but there are also too many distractions from unqualified and unsubstantiated talk and mindless information overflow – all that noise that we all should be filtering out but often cannot. While I do not believe that a Four Hour Work Week (as promoted by Tim Farris) is anywhere close to realistic, there are definite upsides to working less hours and working smarter instead of working more. On that note, enjoy your week-end and TURN OFF THE MACHINE for a while! A reminder of how US creditors changed during the decade (Click on chart for larger image). * Caribbean Banking Centers include Bahamas, Bermuda, Cayman Islands, Netherlands Antilles and Panama (BVI since 2006). ** Oil exporters include Ecuador, Venezuela, Indonesia, Bahrain, Iran, Iraq, Kuwait, Oman, Qatar, Saudi Arabia, the United Arab Emirates, Algeria, Gabon, Libya, and Nigeria. Investing in China, whether directly or via one of the many investment vehicles, comes with a long list of caveats. Even the big multi-nationals (most recently Google) could sing a litany of songs about corruption, red-tape, cultural and language issues, all of which can weigh heavily on investment returns. And how about all the fabulous stories of growth, exuberance and unheard-of property prices? As late as 1981, China started to actively massage its exchange rate versus the US$ with a clear long-term objective: To devalue the Renminbi to gain a massive competitive pricing advantage for their exports. In 1981, when the US and Europe were united in fear that Japan would be the dominant global economic powerhouse, the Renminbi was trading around 1.5 versus the US Dollar. In subsequent years, the currency was allowed to depreciate allowing the USD/CNY rate to reach up to 8.7 Yuan per US Dollar. A few years back, when the then US Treasury Secretary Paulson argued that the Chinese currency was about 40% undervalued, it was quite an understatement in historic perspective. From a macro perspective, the exchange rate movements of the Renminbi are in stark contrast with those of Japan and Germany, two similarly export-driven economies that saw their country rise from economic insignificance after WWII to major export nations by the 1970s and 80s. As their economies grew, so did their exchange rate gain in value against the US$, particularly after the Bretton-Woods agreement was abandoned and currencies were allowed to freely float in the early 70's. The example of the Japanese Yen clearly shows how the Japanese Yen gained about three times the value against the US$ just before Japanese Equities reached their all-time high in 1990. China, by contrast, embarked on an export-driven model with a simple principle: produce as much as possible and sell it as cheap as possible. Aided by the 8:1 pricing advantage achieved between 1980 and the mid-90s, China was able to undercut all competing countries while still retaining massive profit margins. The downside to this policy however was rampant domestic inflation. Exporting goods at unrealistically low exchange rates means one has to import everything else (e.g. raw materials for goods of production) at much higher prices. With the credit crisis in 2008, those inflation fears came to a halt when the world's asset prices united in a deleveraging process across all asset classes. But with massive stimulus from the Chinese government using ultra-loose monetary policy, China quickly regained all losses from 2008. (Ed. Note: A big plus of a command economy over a democratic, semi-free market economy is quite simply that things can get done very fast. When China orders its banks to lend, they do lend) Net result: an economy so hot that a number of Chinese Banks were now ordered to stop lending, at least until the end of the month. Liu Mingkang, head of the China Banking Regulatory Commission (CBRC), said in an interview Jan. 20 that several Chinese banks had been asked to restrain their lending after proving to have inadequate capital reserves. Chinese media reports claimed that new bank loans so far in January have risen to as high as 1 and 1.5 trillion yuan ($146-$220 billion) — approaching or equaling the massive hike in January 2009. As a result, several major Chinese commercial banks (whose names were not given) were given oral commands to stop new lending for the rest of the month. An early sign came last year when Brazil and China agreed to use their own currencies in trade rather than settling their dues in US$. A further sign was the fact that the Bank of China, as well as some other Central Banks started to convert more of their foreign currency holdings into a basket of currencies including Euro, Swiss Franc and Japanese Yen. However, a development that went somewhat under the radar was the fact that China stopped buying US treasuries by the middle of last year. As the chart below shows, China has embarked on a decade long buying spree of US Treasuries increasing their holdings from about $71Bn in 2000 to over $800bn in May 2009. Since last summer however, no net purchase were added, instead their holding decreased by over $10bn since. This may indicate a trend of further divesting of US treasuries. Going back to the prospects for the CNY versus US$, it has been at the same level of about 6.8 since July 2008, barely moving an inch in either direction. It may very well stay there for an extended period of time. However, all other things being equal, the currency revaluation might just be the right valve to keep Chinese domestic inflation under control. Lastly, in case you were not aware of this, the Chicago Mercantile Exchange (CME) has recently started offering Chinese Renminbi Futures and Options. There is of course also an ETN (CNY) allowing you to express your opinion on the future of this currency with your wallet. But please be aware of potential risks of trading these instruments - they are not for the novice investor. 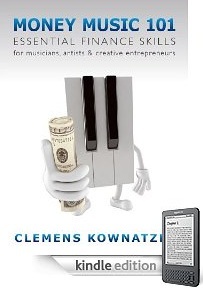 If you like more info on these instruments or any other currency products, please email me. The World just published its annual report on Global Economic Prospects 2010: Crisis, Finance, and Growth. The complete report can be downloaded here. One might not agree with Mr. Altig’s assumption that some 500,000 discouraged workers might come back to the labor pool now causing additional competition among the unemployed. What is perhaps more concerning is the fact that this pool of discouraged workers seems to be expanding. Very interesting to see who is on that list and even more interesting to learn what their backgrounds are. As a Business School graduate, I often wonder about the merits of an MBA degree, considering the time, effort and substantial capital that went into the education. Going through the list of Top50 CEOs, I noticed that only 15 out of 50 (less than a third) had a formal business education. Although I still consider business school one of the best investments I ever made, one has to wonder what these Non-MBAs know that isn’t taught in business school and whether or not that skill can be taught at all? Next time you consider an investment, you may wonder what makes people like Steve Jobs such an “out of the box” thinker; perhaps the same thought process could be used when analyzing your next investment. On that note, good luck and good trading! Here’s another decade chart comparing important events with the exchange rate of the Euro versus US$. Last week’s jobs report and some of the mixed economic news this week put a bit of a damper on the markets. Germany’s 5% drop in GDP came as a clear reminder of the ongoing disconnect between the financial markets and the real economy. As we pointed out last week, a sustainable recovery must find a sound footing in the real economy i.e. via a healthy labor market. More jobs will lead to more consumption which will lead to more realistic company earnings. The crowd on Wall Street is still relatively bullish but there are also increasing numbers of forecasters who do not believe in a V-shaped recovery. Gerald Celente of the Trends Research Institute has a much more sobering outlook for 2010 calling for a depression rather than a recovery. While one might not agree on the timing of a depression this soon after markets have rebounded, one should consider the possibility that the 2008/09 recession did not complete its course and further deleveraging is needed before real sustainable growth can resume. I leave it up to your judgment as to whether his forecast is plausible. However, whichever way the economy may turn in 2010 and beyond, I could not agree more with his recommendation of going back to basics. A bit more frugality cannot be bad; becoming more conscious of the way we consume, wasting less and saving more would also mean living healthier. On that note, I’ll check on those fruit trees in my backyard. As the Bureau of Labor Statistics reported, the consumer price index, the broadest and official measure of consumer inflation, increased 2.7% over the last 12 months before seasonal adjustment. Although the debates among various camps of economists continue as to whether we are experiencing inflation or deflation, the most simple measure on a personal level would be to compare your personal expenses and general living standard with our personal wealth or income. Are you feeling the pinch when looking into your wallet? Most of us do as wages have generally not kept up with rising price levels. Shadowstats.com has an alternative way of measuring inflation and this alternative CPI measure feels a lot closer to reality. EIA expects that the price of West Texas Intermediate (WTI) crude oil, which averaged $62 per barrel in 2009, will average about $80 and $84 per barrel in 2010 and 2011, respectively. EIA's forecast assumes that U.S. real gross domestic product (GDP) grows by 2.0 percent in 2010 and by 2.7 percent in 2011, while world oil-consumption-weighted real GDP grows by 2.5 percent and 3.7 percent in 2010 and 2011, respectively. Escalating crude oil prices drive the annual average regular-grade gasoline retail price from $2.35 per gallon in 2009 to $2.84 in 2010 and $2.96 in 2011. Pump prices are likely to pass $3 per gallon at some point during the upcoming spring and summer. Projected annual average diesel fuel retail prices are $2.98 and $3.14 per gallon, respectively, in 2010 and 2011. EIA expects the annual average natural gas Henry Hub spot price for 2010 to be $5.36 per thousand cubic feet (Mcf), a $1.30-per-Mcf increase over the 2009 average of $4.06 per Mcf. The price will continue to increase in 2011, averaging $6.12 per Mcf for the year. The annual average residential electricity price changes slightly over the forecast period, falling from 11.6 cents per kilowatthour (kWh) in 2009 to 11.5 cents in 2010, and then rising to 11.7 cents per kWh in 2011. Projected carbon dioxide (CO2) emissions from fossil fuels, which declined by 6.1 percent in 2009, increase by 1.5 percent and 1.7 percent in 2010 and 2011, respectively, as economic recovery contributes to an increase in energy consumption. Along with the forecasts came an interesting chart showing crude oil prices based on the estimates from the short-term energy outlook (STEO) as well as the current futures prices on the New York Mercantile Exchange (Nymex). Ranges are calculated on an assumption that crude oil futures prices have a volatility of 95%. This would mean that a relatively wide band is given for possible price changes in 2010 ranging from $45 to $162. The rather wide price range assumes we see the same volatility levels as depicted towards the end of 2008. However, with current volatility below 30% and assuming that prices may fluctuate somewhat less than in 2008, we would consider an average price volatility of 60% to be sufficient. The resulting price band is then narrower with outliers between $65 and $113. Based on that, we expect energy markets to be somewhat volatile but to remain in the narrower price band. Unless another massive deleveraging process takes place, it is hard to conceive that prices would return to levels in the $40 range. Taking a stab, we predict an oil price between $80-$100 by the end of this year. In our previous assessments of economic trends, we concluded that a sustainable US recovery is only viable if more jobs are created domestically. The same could be said for much of the developed world. No jobs = much less consumption which also spells trouble for the BRIC countries, at least in the medium term. Where then should these jobs come from? A more detailed description of these jobs is available here. The full report can be accessed here. Reading through this report, I found "The Science and Technology Timeline 2010 – 2030" (pages 104-120) most fascinating. These are the much needed scientific breakthroughs upon which future job growth would be based on. Sounds like science fiction? Not really, considering the advances and the fast pace of technological change we have witnessed in the last two decades. In terms of finance jobs, an important driver for change may be rooted in shifting perception of money and wealth. Already, companies are experimenting with new forms of compensation (perhaps as a result of the recent financial crisis) which may eventually trigger a paradigm shift in people's attitudes. The relatively small list of future finance jobs implies that traditional finance might actually get the much needed overhaul and that new forms of compensation and monetary systems may come forward. Time being the ultimate form of value, particularly for people who have money, could indeed turn into a new monetary form called time credit. Good-bye investment banker - say hello to the "time banker". Here is our first issue of Market Insights for 2010. As always, please email any questions to: info@fxistrategies.com. Wishing everyone a healthy and prosperous New Year! • More Of The Same? Some of the events of the past decade as compared with the chart of the S&P500 during the period. So here we are at the dawn of a new decade wondering what the next ten years might bring while looking back at a period that has left many with deep financial scars. Turbulent would be an understatement when describing the events of the first decade of the 21st century. But despite of it all, we’re still around and, realizing that the world has not fallen of a cliff just yet, a fair amount of optimism should be in order when locking at the challenges ahead of us. Particularly the US which, most would agree, was the cause and epicenter of the financial crisis of 2008/09, is looking comparatively untarnished considering the extent of the deleveraging that took place. Look no further than Japan, which recently completed the 2nd decade of its mega-bear market, to feel comparatively fortunate. At the end of 1989, the Japanese Stock Index Nikkei peaked at almost 39,000; today, 20 years later, it is still hovering just above 10,000, a little more than a quarter of its peak value then. Looking ahead then, the rest of the world should be cautiously optimistic but also be mindful of the fact that two decades of near zero interest rates and various other measures similar to quantitative easing haven’t helped the Japanese Stock Market rebound. Instead, it left the country with a record deficit. Essentially a continuation of the dotcom bubble, housing was the new investment fad of the rather volatile “Noughties” (00’s). In continuation with the 90’s, a large part of the world's demand for goods was created by the US consumer who became the locomotive for global production of goods and the main engine of the world economy as a whole. A slight problem was the fact that all this consumption was mainly created through credit and not through production and savings, the traditional way of generating wealth. For a long while the scheme worked like this: China (to a lesser extent India and other developing nations too) supplied the US consumers with all the goods they wanted and even provided the financing for a near two-decade spending spree. This symbiotic relationship created a fairly stable equilibrium which was beneficial to everyone. The US enjoyed a long period of extremely high standard of living - much greater than it should have been given the underlying GDP. Meanwhile, China created lots of jobs and Chinese citizens saved money. The country modernized its infrastructure, gave birth to potentially the largest ever middle class, and it is now on the verge of being the dominant economic super power in the world. The US, once the largest creditor in the world has become the largest debtor. In September 2008, China took over Japan as the number one creditor to the US and it is currently holding nearly $1 trillion in US Treasuries in addition to some $2 trillion in Foreign Currency Reserves, the majority of which are also in US Dollars. As a result of the financial crises this symbiotic creditor/debtor relationship broke down when the credit stopped flowing. Central Bankers and world leaders, spearheaded by the US administration, have done a good job in pumping massive amounts of money into the system. “QE” (Quantitative Easing), “Government Bailouts” and “Too Big To Fail” became the most uttered phrases of the past two years. Things have stabilized since and the global economy is breathing again. However, huge amounts of additional debt has been created (at the expense of future generations) in order to “save” some of the largest institutions which are now “Too Larger To Fail”. Please consider these graphs as reminder of some of the developments during the past decade. Taking a glimpse ahead, a sustainable solution cannot be a continuation of the cheap credit environment. This will invariable result in the same bubbles that caused the crisis to begin with. The basis of this odd symbiosis of American Über-Consumer and the tremendous growth of the BRIC (Brazil, Russia, India, China) countries was a "drugged" system with the drug being "cheap credit". As we learned, that was not sustainable. The system has failed and cannot serve as a model for the future. To kick-start another period of extended world growth, demand has to come from somewhere. The world is waiting for China and India to create this vast new middle class and to act as the new engine for consumption and economic growth. That might take time however. The US consumer is cash strapped and banks are still very reluctant to lend. Friday’s employment data are less than encouraging, particularly if one digs a little deeper into the reports. The official unemployment rate is unchanged at 10% but the "real" unemployment rate (U6 includes: discouraged, marginally attached and non-voluntary part-timers) rose to 17.3%. Worse yet, long-term and permanently unemployed are at an all-time high. The previous and current US administration believe in continued stimulus but it remains questionable how much of that stimulus is going to find its way into the real economy. Conceptually, the renewed deficit spending is like trying to get a drug user (US economy/US consumer) off the drugs by injection them with more drugs – Nice! Not very effective though in the long term. To make matters worse, at some time in the future governments cannot afford to pump endless money into the system. Unless the US and Europe can create substantially more jobs, consumers will simply have to save more and consume less. As a result, companies will have a hard time achieving the projected earnings at which current valuations are based on. 2010 will be a difficult year for the real economy and real people. Despite further possible stock market gains, we don’t expect a true recovery until more people are back at work. Having said all that, global interdependencies have become increasingly complex and no one can truly fathom how much would be at risk if the US and/or Europe would fall back into a protracted recession. The developing countries, most of all China, are not yet able to support their current economy from domestic demand. Therefore it is in everyone’s interest to strive for economic improvement in the US. With regard to the two-decade stock market misery in Japan, one should hope that the US markets will not fall into the same hole. If nothing else, one can never under-estimate the entrepreneurial spirit, drive and conviction of the American people. Being an underdog for a change might bring out the best of innovations and new businesses that can make a sustainable recovery happen. Here’s to a brighter decade! Good luck and best wishes for a prosperous New Year!